Born in 2017 from the idea that clean, healthy and nutritious eating can be available to everyone and with recently becoming a mum I wanted to create my own health food juice bar and cafe in my home town of Prestwich. The idea quickly progressed and before long Prestwich's first healthy juice bar offering locally sourced produce to bring healthy and nutritious living to the community. My inspiration for opening PRES came from being pregnant with my daughter Ciela. After working long hours for big companies for years, opening a healthy juice bar was something i’d always dreamed of. Falling pregnant with her Ciela gave me the final push to leave behind the safety of a full time job and focus on making my dreams a reality. Who doesn’t want their babies growing up around health and nutrition. Today PRES offers tasty, healthy and nutritious food, smoothies, cold pressed juices and juice cleanses all of which are earthy and balanced. The cafe is welcoming and open to all. 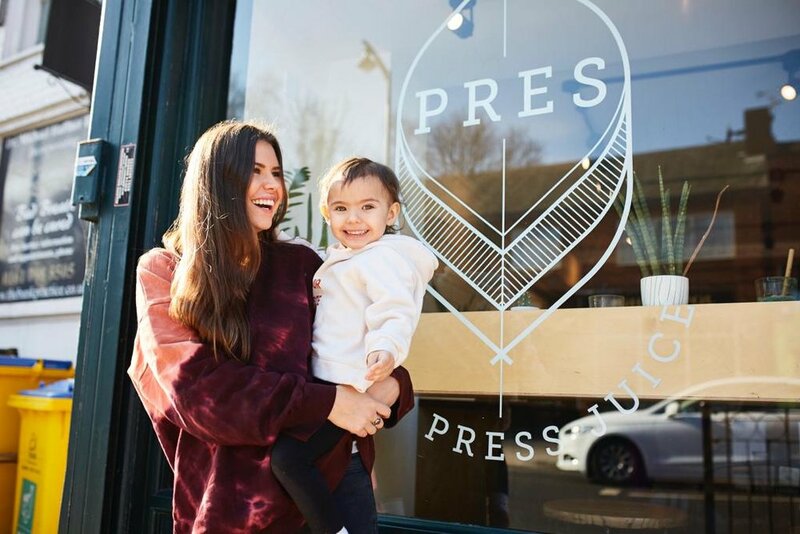 Located in the heart of Prestwich, PRES is a beautiful healthy home for eating in, meeting with friends, holding talks or workshops and more.